As most of you would have known, I was so busy over the past two weeks with a huge number of events. But I’m finally back, and wouldn’t leave you guys anymore soon. 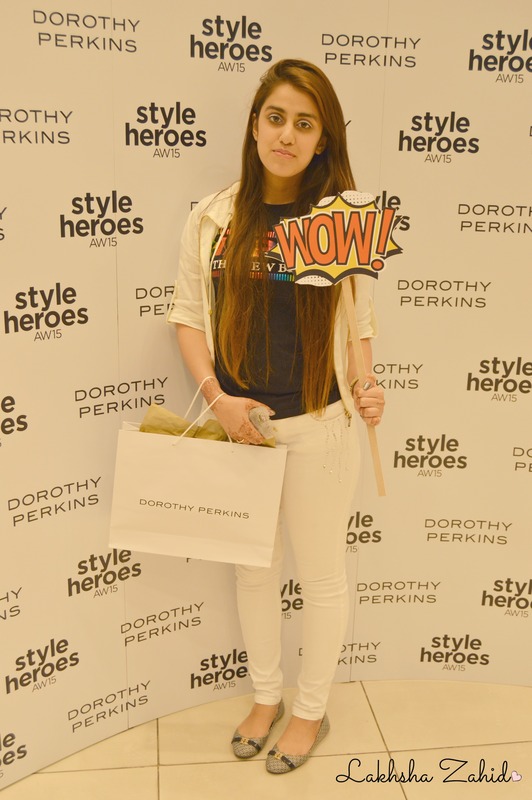 Talking about fashion, previously on the 29th September 2015 at The Dubai Mall Dorothy Perkins launched its Autumn Winter Collection. It included of a great fun-filled time with lots of new fashion trends, live music by the gorgeous DJ Nina, Refreshments and some photo-booth fun. 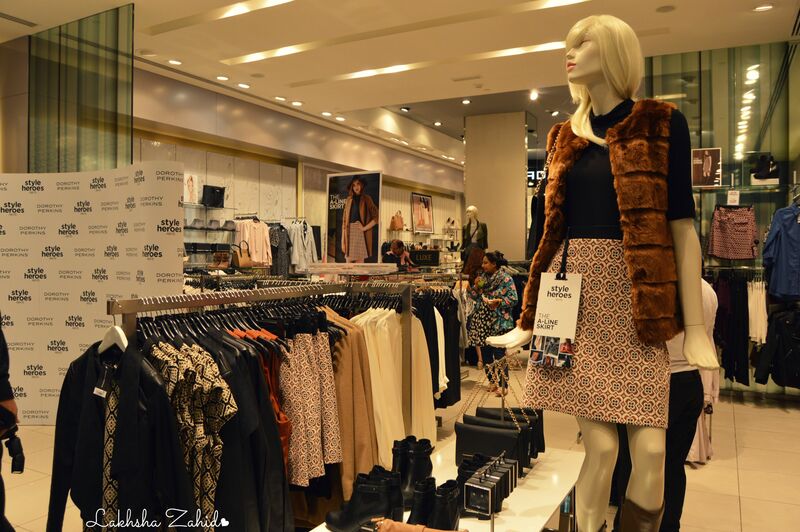 I had a great time exploring the Winter Collection especially as I’m a huge lover of furry coats and leather jackets. Some of the dresses were quite fancy I had seen in quite a long time. The new collection includes of a soft and serene palette of tobacco, mink and blush – to the retro glamour of 60’s and 70’s. 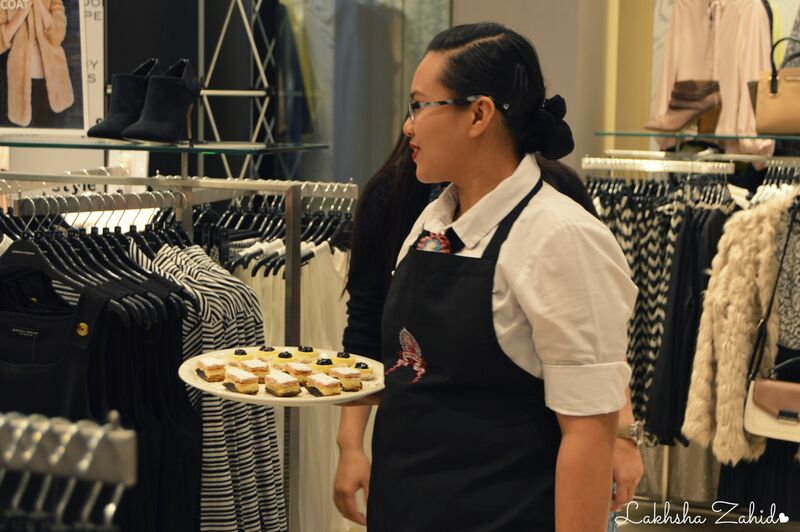 The environment was really fun, we were taking pictures around, ladies were happily shopping and enjoying the new collection, trying out clothes, taking advantage of the amazing refreshments, music and the staff. Towards the end, I was also gifted a beautiful pink clutch from them which I already liked in their stores. 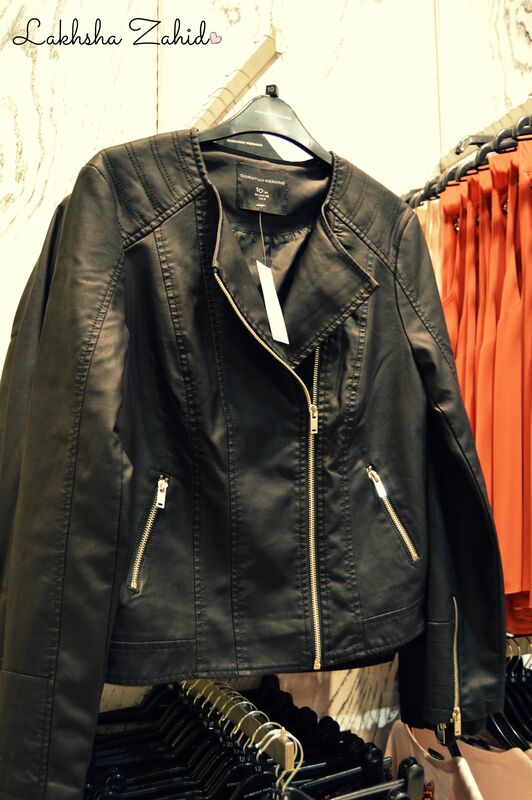 Something I’m really excited about are the leather jackets. These with their long boots look extremely hot. I will be posting my looks sometime later in Winter. 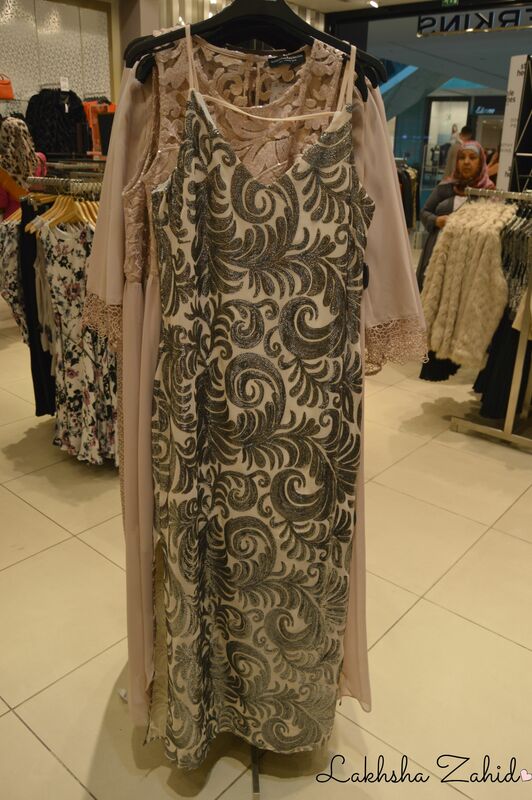 This dress in the picture above, was one of my favorites in the store. It looks completely like a party wear. This would go specially too well with a midnight function. It costed for more than Dhs 600. The shoes collection come up with great heels starting from Dhs 250, ankle boots from Dhs 375 and many other shoes from the prices Dhs 150. Moreover, the jewelry is quite much simple, not too heavy, prices start from Dhs 35. The plain necklaces give quite much of a decent look, so those really are must have. 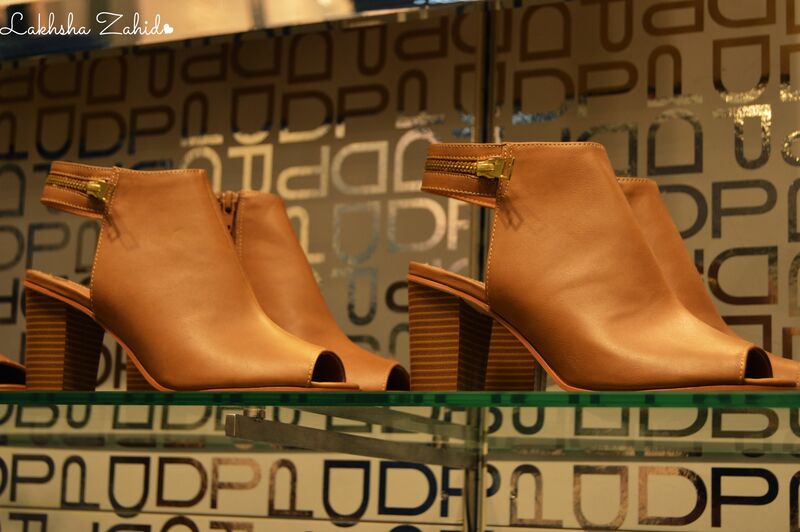 Grab them next time you visit Dorothy Perkins for sure! I’m absolutely impressed by the retro look as nowadays it just got into fashion to have 70’s look in order to look more glamorous. If you’re willing to give a visit here are the stores; The Dubai Mall, Mall of the Emirates, Ibn Batuta Mall, City Centre Deira, Yas Mall, Al Wahda Mall, Sahara Centre, Dalma Mall and Al Manar Mall. So are you finally ready for sweater weather in Dubai?